Optimizing collaboration and improving service to your customers. 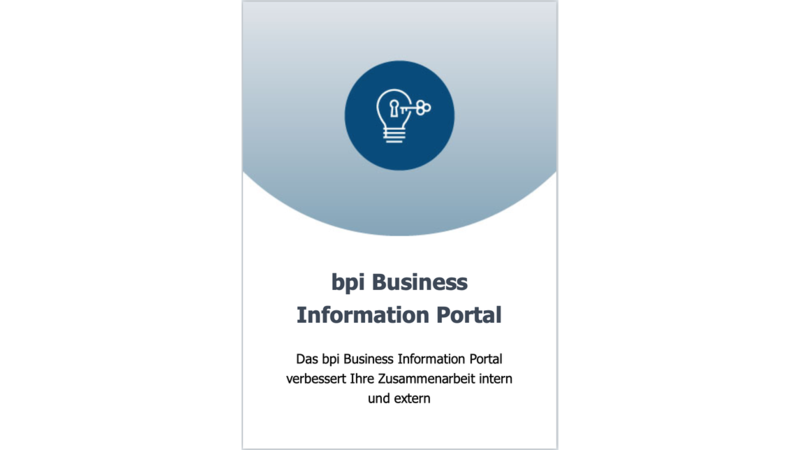 The Business Information Portal is based on your website and can be integrated into your own web infrastructure or hosted in the bpi data center. With the portal, you noticeably improve your customer service and at the same time relieve the burden on your office staff in day-to-day business. The download area offers several categories, such as Assembly instructions, sales documents, etc. Through simple adjustments, the layout of the Business Information Portal can be aligned with the corporate design of your own homepage. The integrated user management allows the users to assign different authorizations. Thus, defined access permissions can only be set up for registered users. This gives trading partners access to their required data at all times.